Beautiful monochrome contemporary nursery print, perfect as a New Baby gift. 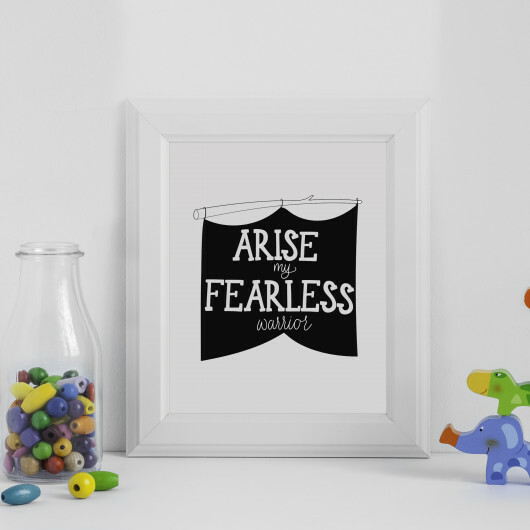 Lovely print with slogan "Arise my fearless warrior". Wonderful for either a baby girl or baby boy's room in this beautiful monochrome feel.